The Communications Media Channel Profiler is currently bundled with the Communications Task Profiler at no additional charge. 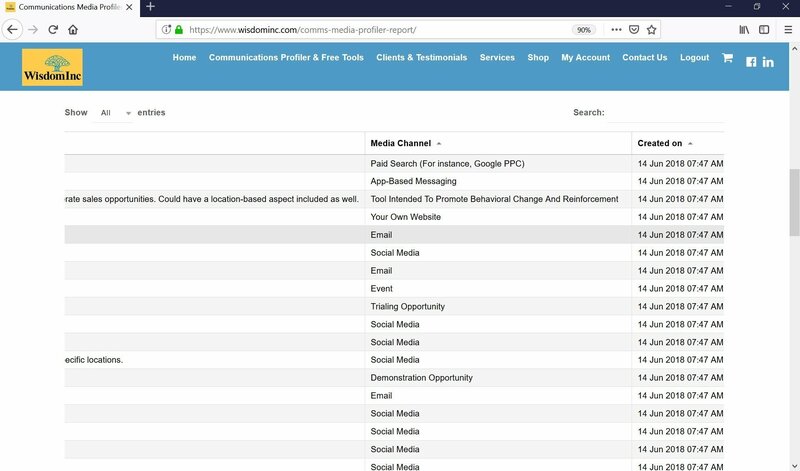 Priority communications from the Communications Task Profiler are run through an algorithm created to highlight more suitable media channel options for your specific requirements. The preferred media channel choices are then presented to you with a score (higher is better). This is not intended to be country or budget specific. Rather, it enables you to identify potential media channels that are likely to be a better fit for your task at hand. The focus is more on digital media options as they are more accessible to B2B and B2C marketers in terms of available budgets. Our experience is that many marketers do not have the resources to execute all media channel opportunities simultaneously. This approach highlights more promising opportunities. Reports can be exported in a variety of formats so different people in your team can be allocated specific tasks while seeing the whole picture. A profile is generated for every Communications Task Profiler that you create. 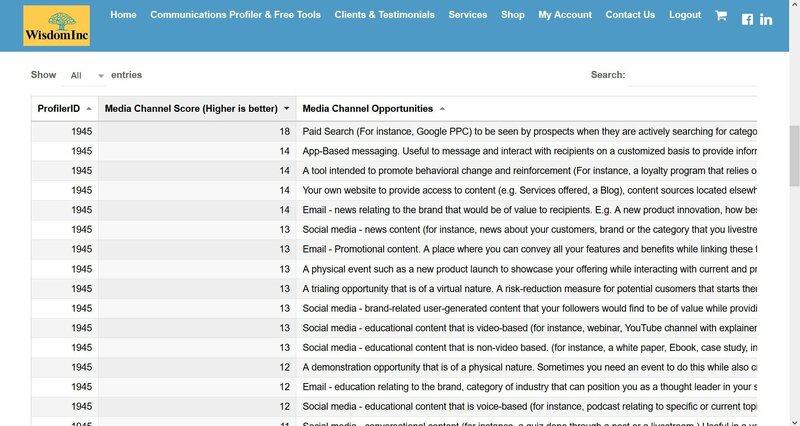 This means that you can see how preferred media channels could have different priorities across your products, services or market segments.